Czech debates about the forced removal of the Sudeten Germans exercise a powerful fascination, but they are refracted unevenly in historical writing in English writes guest contributor Martin D. Brown. Seasoned Czech Republic-watchers will be well aware of the paucity of coverage provided by English language sources. With some exceptions, on the sporadic occasions when the country does make an appearance it tends to be in stories about political corruption, natural disasters, or the Czechs’ fondness for beer. This is nothing new – see Neville Chamberlain’s comments, circa 1938 – and the obvious solution is to read Czech, although, even this approach is not always straightforward, as was revealed by a dispute that arose during the Czech Presidential elections in early 2013. The elections, a contest between foreign minister Karel Schwarzenberg and former prime minister Miloš Zeman (who won), proved ill-tempered, and included a heated televised dispute over the legacy of the forced removal of around two and half million Sudeten Germans from Czechoslovakia after 1945. Intriguingly this just happens to be one subject that has garnered a fair amount of English language coverage in recent decades. Superficially this was a clash between opposing sides of the Czech political spectrum: Schwarzenberg, on the centre-right decried the ‘expulsions’ as illegal, unjust, against all the accepted norms of international law and argued they had contributed to the success of the communist coup in 1948; while to the left, Zeman defended the ‘transfers’ as a necessary response to the Sudetens’ collaboration with the Nazis, legal under international law and part of the constitutional foundations of the modern Czech state. Particularly noteworthy was the way both candidates expressed their respective positions through the terms ‘expulsion’ (vyhnání) and ‘transfer’ (odsun) to denote their approval or disapproval for the process. 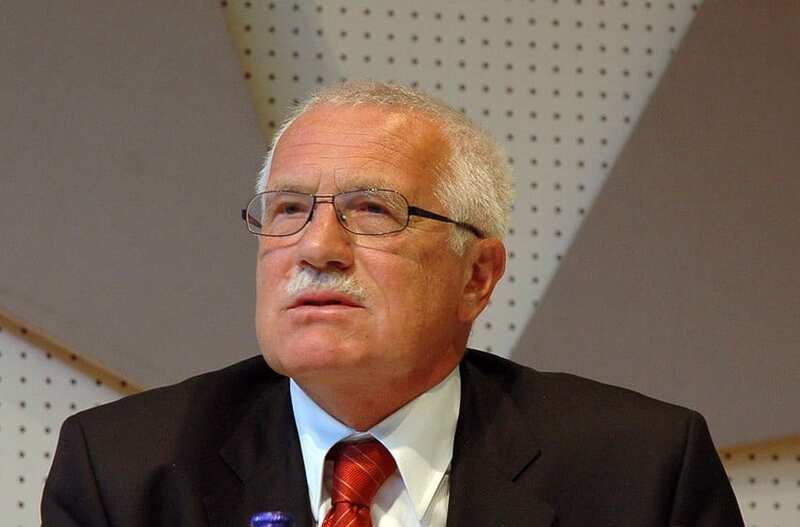 Václav Klaus ends his second and final term as Czech president today. He has been a blisteringly controversial head of state. But his high profile and confrontational style masked underlying political weakness, argues Seán Hanley. In many ways a medium-sized Central European country like the Czech Republic could hardly have wished for a better president: an experienced, energetic and erudite politician of international standing able to engage both with the big European issues and handle the domestic problems thrown up by fractious politicians and crumbling coalition governments. A president tough-minded enough to periodically remind its citizens that they were living not in an impoverished mafia state, but in a tolerably well-administered, reasonably prosperous, if inevitably flawed, European democracy. As president during the last ten years Václav Klaus has been all of these things. But he has also been a blisteringly controversial head of state, whose views have often been sharply at odds with most of his fellow politicians or fellow citizens. Provocative and unignorable, Klaus has been loved and (more often) loathed both at home and abroad. He leaves office facing an indictment for treason brought by opponents for alleged constitutional violations. He is, as Czech political scientist Lubomír Kopeček rightly terms him in a recent biography, a political phenomenon. Left-wing former Prime Minister Miloš Zeman will be the Czech Republic’s next president after defeating aristocratic foreign minister Karel Schwarzenberg in a run-off election on 25-26 January. However, the presidential poll also tells us something more about Czech democracy says Seán Hanley. The first direct elections of the Czech president offered a refreshing contrast to the back room manoeuvring and political horse-trading that accompanied the election in parliament of presidents Havel and (especially) Klaus. Despite the nastiness of the Zeman campaign and vacuousness of the political marketing around Karel Schwarzenberg, voters were offered a clear choice between personalities and priorities and turned out in large numbers to make it. Television pictures of voters ranging from ski-suited holiday-makers to prisoners choosing the new head of state send quiet but clear message of a country that takes its democracy seriously and knows how to use it. But the elections also hold up a more subtle mirror to Czech democracy, showing a political system still defined by patterns laid down in 1990s, which may nevertheless be on the cusp of change. The Czech Republic held first-round presidential elections on 11-12 January. Seán Hanley assesses the results and how the two remaining candidates – Miloš Zeman and Karel Schwarzenberg – are likely to fare when the country goes back to the polls for the second-round run off later this month. Few observers, even a matter of weeks beforehand, would have predicted the success of the two candidates who will be contesting the second round run-off to choose the Czech Republic’s first directly elected president, which takes place on 25-26 January. Miloš Zeman, who topped the poll in the first round on 11-12 January with 24.2 per cent, is a former Prime Minister who led the Czech Social Democratic Party between 1993 and 2001. However, he acrimoniously split with the party he once led and his return from political retirement in 2009 to lead his own Citizens’ Rights Party (SPOZ) was regarded by many as a vanity project. SPOZ failed to enter parliament in the May 2010 parliamentary elections and Zeman’s presidential bid, announced in June last year, seemed set to be similarly unsuccessful.